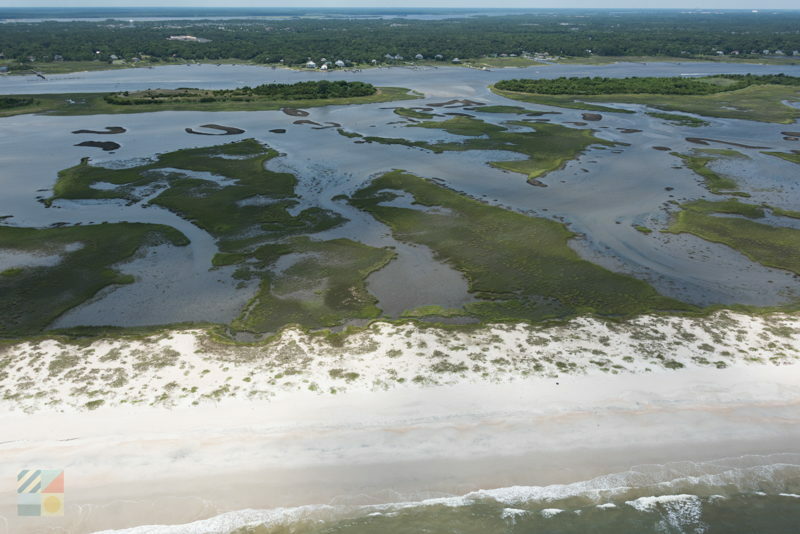 Where is the Masonboro Island Coastal Estuarine Reserve? The Masonboro Island Coastal Estuarine Reserve is located just off the coast of Wilmington, and is bordered to the west by the Intracoastal Waterway, and bordered to the east by the Atlantic Ocean. The Masonboro Inlet separates it from Wrightsville Beach to the north, while the Carolina Beach Inlet separates it from Pleasure Island to the south. How do you get to the Masonboro Island Coastal Estuarine Reserve? Visitors can only reach the Masonboro Island Coastal Estuarine Reserve by a boat. 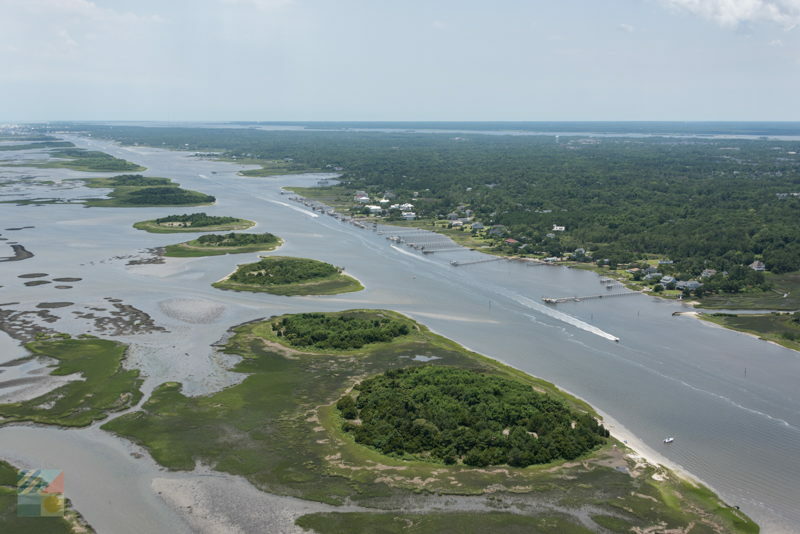 Privately owned vessels can land on the beaches that hug the north and south sides of the islands, and privately owned pedestrian ferries access the Masonboro Island Coastal Estuarine Reserve as well for a fee. Why is the Masonboro Island Coastal Estuarine Reserve special? The Masonboro Island Coastal Estuarine Reserve is the longest undeveloped and undisturbed barrier island in southern North Carolina, and serves as a home for a wide array of species. 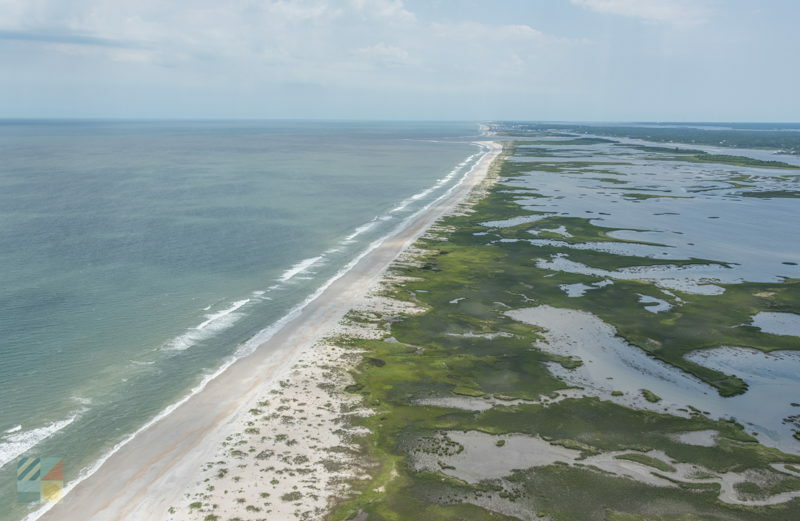 Migrating and coastal birds, fish, invertebrates, and sea turtles all use and visit the Masonboro Island Coastal Estuarine Reserve, and the site is also an important destination for coastal research and education. Can you drive to the Masonboro Island Coastal Estuarine Reserve? There is no way to access the Masonboro Island Coastal Estuarine Reserve by vehicle, as the site can only be reached by boat. There are fee-based ferries and tours available for visitors who want to explore the Masonboro Island Coastal Estuarine Reserve. 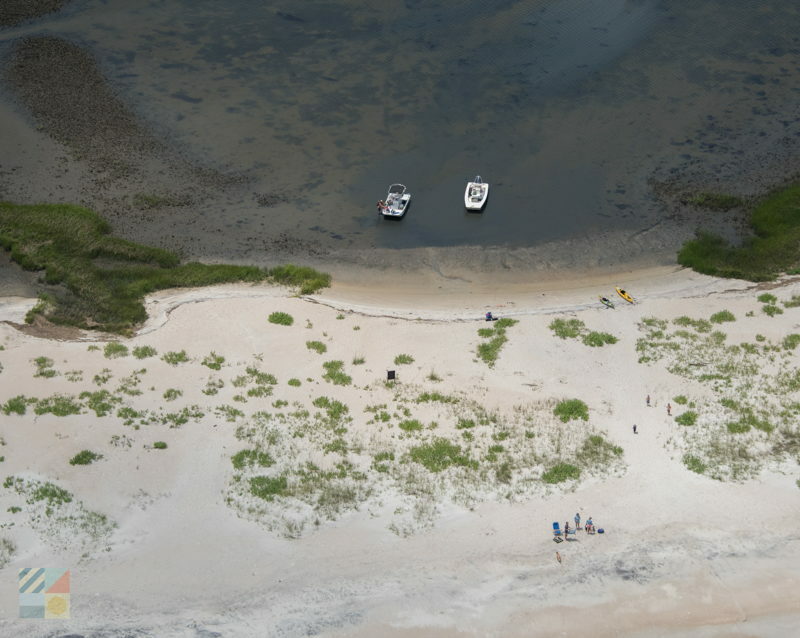 Where can you launch a boat to reach the Masonboro Island Coastal Estuarine Reserve? Boats can launch from a number of public and private marinas or launch sites in neighboring Wilmington, as well as Wrightsville Beach and Carolina Beach. There are no docks or slips within the undeveloped Masonboro Island Coastal Estuarine Reserve, but boats can land on the area beaches. Can you camp in the Masonboro Island Coastal Estuarine Reserve? Camping is allowed within the Masonboro Island Coastal Estuarine Reserve, although visitors are advised to use areas that have obviously been utilized as campsites before. Campers should avoid staying on the dunes or vegetation, and should take out everything they take in. Visitors should also note that camping within the Masonboro Island Coastal Estuarine Reserve is primitive, and there are no designated sites, drinking water, trash receptacles, or restrooms within the reserve. What should you bring to visit the Masonboro Island Coastal Estuarine Reserve? Because the Masonboro Island Coastal Estuarine Reserve is completely undeveloped, visitors will want to bring along all the supplies they’ll need for the duration of their stay, including drinking water, snacks, bug repellent, and trash bags. Are there special events at the Masonboro Island Coastal Estuarine Reserve? While there are no set special events within the Masonboro Island Coastal Estuarine Reserve, local schools and colleges, as well as area organizations, often use the site for research projects and / or educational programs and tours. How large is the Masonboro Island Coastal Estuarine Reserve? The Masonboro Island Coastal Estuarine Reserve is approximately 5,563 acres in area, and the island is 8.4 miles long, making it the longest barrier island in the southern portion of North Carolina. Where can you stay at the Masonboro Island Coastal Estuarine Reserve? While only primitive camping is available at the Masonboro Island Coastal Estuarine Reserve, (with no designated sites or facilities), the neighboring coastal communities of Carolina Beach and Wrightsville beach have ample accommodation options. Accommodations in these popular vacation destinations include hotels and motels, campgrounds and RV parks, and vacation rental homes or condos. Are there restaurants near the Masonboro Island Coastal Estuarine Reserve? Though the Masonboro Island Coastal Estuarine Reserve has no commercial development of any kind, there are dozens if not hundreds of restaurants at the nearby communities of Wrightsville Beach to the north, Carolina Beach to the south, and Wilmington to the southwest. Are there restrooms at the Masonboro Island Coastal Estuarine Reserve? There are no restrooms within the Masonboro Island Coastal Estuarine Reserve. Are there mosquitos at the Masonboro Island Coastal Estuarine Reserve? Because of its isolation and acres of saltwater marshes, there can be mosquitos at the Masonboro Island Coastal Estuarine Reserve, especially along the Intracoastal Waterway. Visitors will want to bring along plenty of bug spray, and stay close to the ocean beaches. Are there snakes at the Masonboro Island Coastal Estuarine Reserve? There may be snakes within the Masonboro Island Coastal Estuarine Reserve, especially along the Intracoastal Waterway and in marshy areas. Visitors should use caution and wear waders or closed toe shoes when exploring the woods and marshes of the reserve. Are there hiking trails at the Masonboro Island Coastal Estuarine Reserve? There are no designated hiking trails within the Masonboro Island Coastal Estuarine Reserve, but visitors will find plenty of room to roam and explore, which includes more than eight miles of ocean shoreline. What kind of birds can be found at the Masonboro Island Coastal Estuarine Reserve? The Masonboro Island Coastal Estuarine Reserve is a popular destination for an array of coastal and migrating birds, because of its lack of development and locale along the Atlantic Flyway. Unique species, which includes endangered or threatened birds, include American oystercatchers, black skimmers, Wilson’s plovers, and least terns, which all nest on the island in the summer months. Where can you go birdwatching in the Masonboro Island Coastal Estuarine Reserve? On the oceanside of the Masonboro Island Coastal Estuarine Reserve, visitors will be able to spot a wide array of coastal species, which includes piping plovers, oyster catchers, black skimmers, brown pelicans, cormorants, and least terns. Closer to the Intracoastal Waterway, birdwatchers will likely be able to spot herons, egrets, and ibises hunting in the area marshes. A boat or kayak will be required to reach the reserve, although tours from private vendors are available as well. What is the landscape like at the Masonboro Island Coastal Estuarine Reserve? The Masonboro Island Coastal Estuarine Reserve is typical of a North Carolina barrier island, with ocean beaches that extend for more than eight miles. Roughly 87% of the reserve is comprised of marshes and tidal flats, while the remaining portions consist of beach uplands and dredge material islands. As such, the reserve features an interesting array of coastal habitats, which includes subtidal soft bottoms, tidal flats, salt marshes, shrub thickets, small patches of maritime forest, dredge spoil areas, grasslands, ocean beaches, and sand dunes. When is the best time to visit the Masonboro Island Coastal Estuarine Reserve? Visitors who want to enjoy the beaches will want to head to the Masonboro Island Coastal Estuarine Reserve in the summer months, when the ocean waters are nice and warm. The fall and spring months are also attractive for fishermen, birdwatchers, shell hunters, and visitors who enjoy cooler temperatures, less foot traffic, and an almost non-existent mosquito population. Can you fish at the Masonboro Island Coastal Estuarine Reserve? Fishing is allowed within the Masonboro Island Coastal Estuarine Reserve, and anglers can cast a line from the ocean shorelines, or from a boat or kayak in the marshy waters of the Intracoastal Waterway. Anglers should note that fishing is permitted, so long as it does not interfere with the natural environment, and visiting anglers should pack out whatever they pack in. Can you hunt in the Masonboro Island Coastal Estuarine Reserve? Hunting is not allowed within the Masonboro Island Coastal Estuarine Reserve. When is the Masonboro Island Coastal Estuarine Reserve open? The Masonboro Island Coastal Estuarine Reserve is open to the public year-round. Visitors should note that small closures of the area beaches may be necessary in the summer months to protect sea turtle nests. Can you bring your pet to the Masonboro Island Coastal Estuarine Reserve? Can you have a fire at the Masonboro Island Coastal Estuarine Reserve? Campfires are permitted at the Masonboro Island Coastal Estuarine Reserve, however campers should remove any coals and debris, and should only have fires below the high tide line to avoid potential damage to area vegetation. Can you have fireworks at the Masonboro Island Coastal Estuarine Reserve? Fireworks are prohibited throughout the Masonboro Island Coastal Estuarine Reserve. Are there paddling trails at the Masonboro Island Coastal Estuarine Reserve? There are unmarked paddling trails on the western side of the Masonboro Island Coastal Estuarine Reserve, which wind through the area marshes. Visitors can find more information on the paddling trails, which includes a map, by visiting the reserve’s website at http://portal.ncdenr.org/web/crp/masonboro-island. Does it cost money to camp at the Masonboro Island Coastal Estuarine Reserve? There is no fee to camp at the Masonboro Island Coastal Estuarine Reserve, but visitors should note that all sites are primitive, and there are no amenities such as restrooms or drinking water. Are there shells at the Masonboro Island Coastal Estuarine Reserve? The Masonboro Island Coastal Estuarine Reserve is an exceptional destination for shelling, simply because it is so isolated, with few pedestrians. There are also several boat or shelling tours that can take visitors to some of the best area beaches for shelling, which are typically located on the northern and southern ends of the island, near the Masonboro Inlet and the Carolina Beach Inlet. Are there tours of the Masonboro Island Coastal Estuarine Reserve? Boat tours of the Masonboro Island Coastal Estuarine Reserve are available through a number of private charter boat businesses that are based in the Carolina Beach, Wilmington, and Wrightsville Beach areas. Tours can include inshore fishing trips, shelling and beachcombing trips, birdwatching trips, sunset cruises, or all of the above. 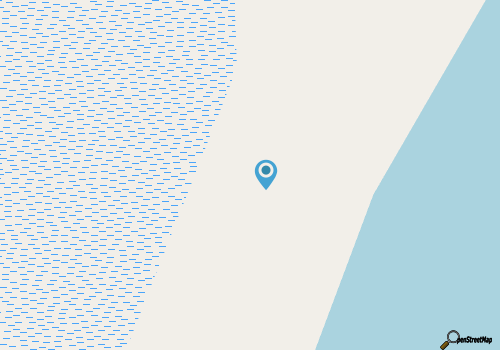 Where is the Masonboro Island Coastal Estuarine Reserve headquarters? The reserve office for the Masonboro Island Coastal Estuarine Reserve is located in the town of Wilmington, at 5600 Marvin K. Moss Lane.